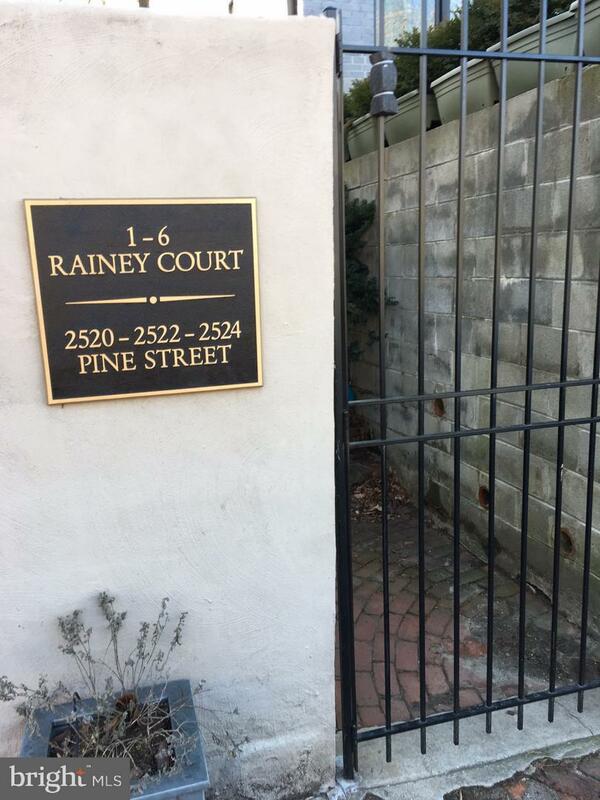 3 Rainey Court offers a fantastic Fitler Square location in an off-street, serene courtyard setting. This charming home has two bedrooms, one bathroom, central air, oak hardwood floors throughout, a useable basement with great storage, laundry, and separate egress to the backyard. First floor: Combined living/dining area, kitchen with built-in shelving, gas stove, refrigerator; sliding doors to very private backyard. 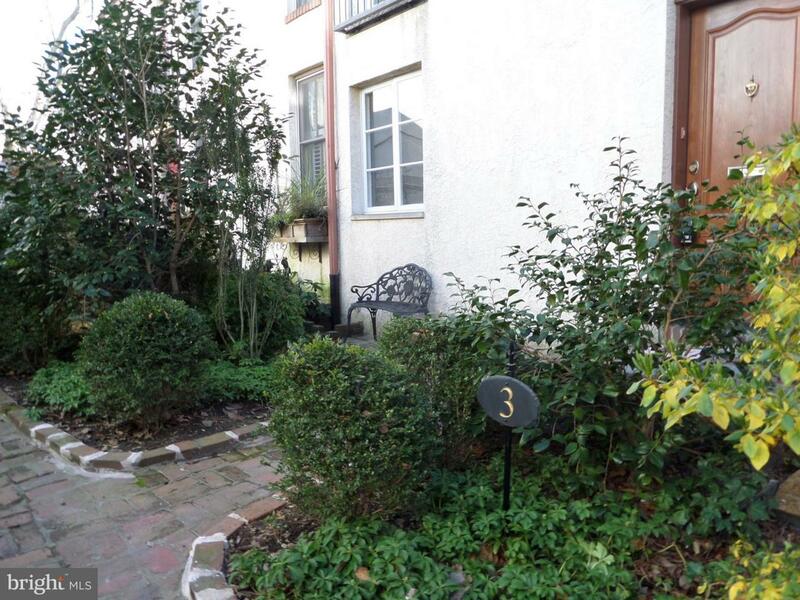 Second floor: Hall bath with tub, front bedroom with French doors and Juliet balcony w/ views of landscaped courtyard and pocket doors leading to rear bedroom/office space. 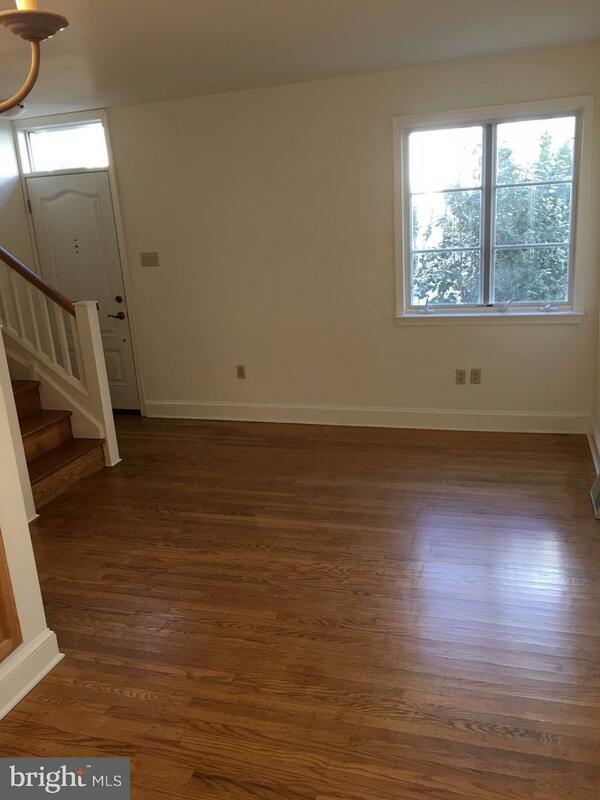 Basement has two rooms, good ceiling height, cedar closet, and is very useable. Rear basement room has full-size washer and dryer, mechanicals, and rear door leading up to backyard. This home is bright and cheerful, and the off-street setting in a landscaped courtyard is a true Philadelphia rarity. 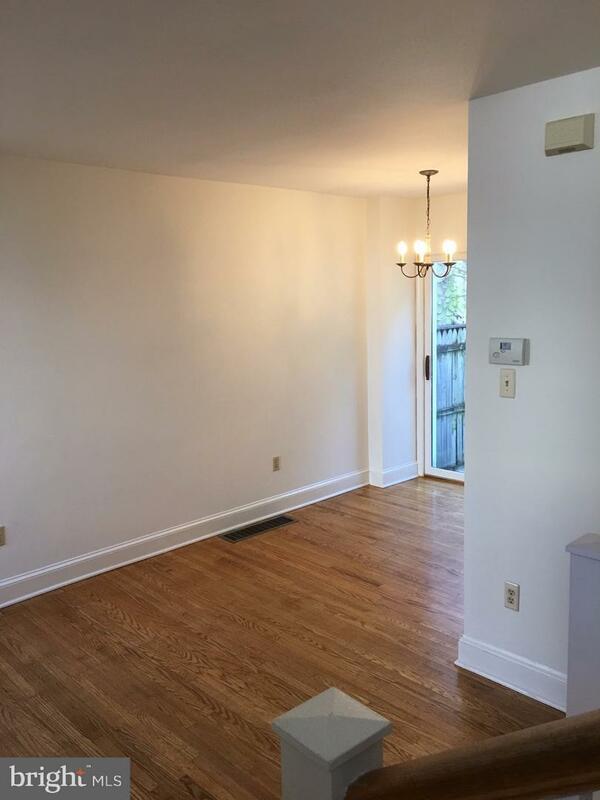 Steps away from Taney Park, Schuylkill Banks recreational activities, Fitler Square, and very walkable to the University of PA, 30th St. Station, and Rittenhouse Square. First month, last month, and one month security are due at time of signing of lease. Apply through listing agent. "No pets permitted"